How Much Angle Can You Have on a Single-Wall Woodstove Pipe? A wood burning stove provides warmth and the aesthetically pleasing display of a fire in your home. For safety and smoke venting, the stove must be connected to a heavy metal pipe that vents to a chimney and outdoors. Proper positioning of the stove in the room is also important to prevent overheating and potentially scorching the walls. Stove pipes are sold in the diameter of the vent on the back of your stove and attach with sheet-metal screws. The pipe for a wood stove connects with sheet-metal screws. Place the stove on a non-combustible base in the room at a minimum distance of 18 inches from all walls. Line up the pipe with the vent on the back of the stove and slide the pipe over the vent, twisting slightly to align the screw holes in both the pipe and the stove vent. 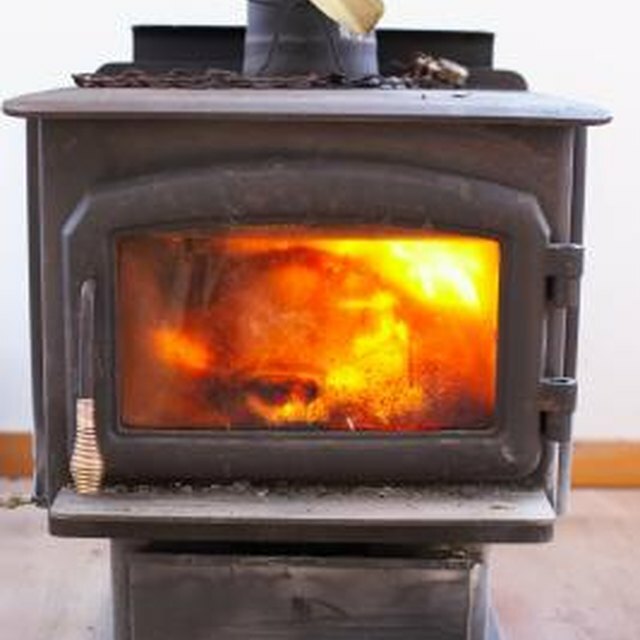 Fasten the pipe to the back of the wood burning stove with sheet-metal screws and a screwdriver.